Description: Methuen, London, 1974. First Edition, Brown Cloth, Illustrated by: Stobbs, William. Fine/Near Fine. 9780416779004 gilt titles on green panel spine; light brown e/p's. ; b/w, illusts. ; "1 give you three gifts: the power to change yourself at will into a swift flyer, a swift runner, and a pretty plaything - the first a falcon; the second a stag; the third a kitten. So the good wizard grants the gifts to Sir Green Hat which enable him to overcome the wicked wiles and treachery of Sir Red. 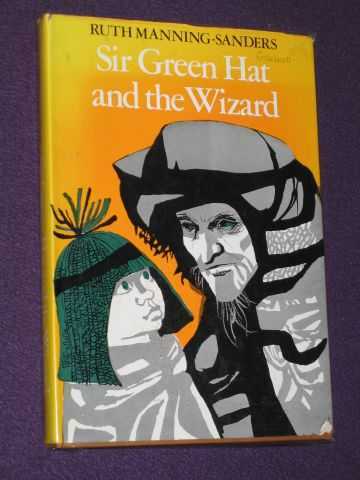 How Sir Green Hat finds the Beauty-of-the World, a quest Sir Red sets him, and finally marries Princess Miranda with the help of the wizard's gifts, make the opening tale particularly exciting and entertaining. Ruth Manning-Sanders has gathered the stories in this collection from countries as far apart as South Africa and Denmark, Japan and Brittany. Her original and highly readable style and masterly treatment in retelling folk tales is well illustrated in this latest volume. "; the price-intact (& now protected) D/J. has a small closed tear to top of spine; 173 pages. Size: 8vo - over 7¾" - 9¾" tall. Illustrator: Stobbs, William. Quantity Available: 1. Category: Children; Myths, Legends, Fairy Tales; Myths, Legends & Folklore. ISBN: 041677900X. ISBN/EAN: 9780416779004. Pictures of this item not already displayed here available upon request. Inventory No: CHD00244.